Programmable thermostats that are synchronized with the clock have been around for decades.However, they’re often difficult to set and aren’t necessarily efficient; they simply turn on or off as programmed, whether or not you are there. 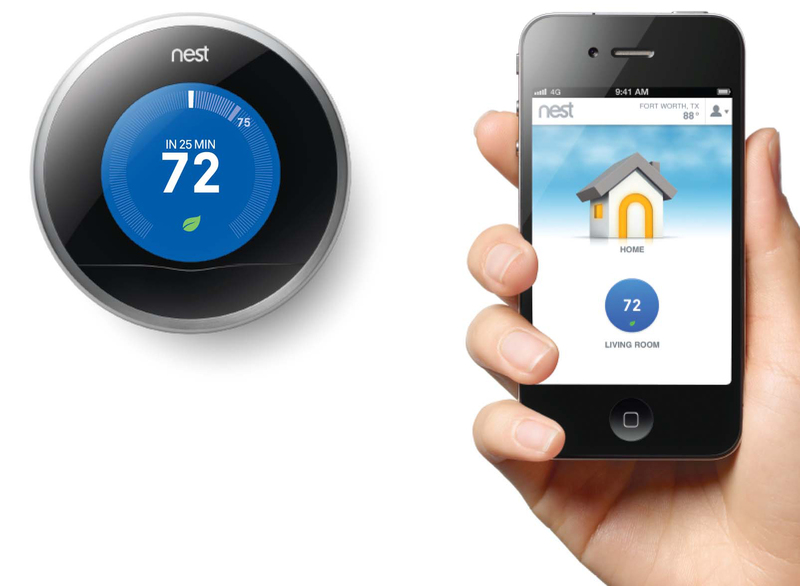 With the newer models, smart thermostats can be programmed to adjust the temperature when they sense you are present. And once you leave, they can kick back to standby mode so that you’re saving energy and money. Nestdoes all of this, and it also allows you to check your usage from your cell phone so that you can adjust the temperature remotely and save even more. I have 2 Nests in my home, and love them. They paid for themselves fairly quickly, and it’s nice being able to check on and adjust them remotely. Many of the new smart smoke detectors, like theBirdi, monitor smoke, carbon dioxide, as well as air quality. With this new sensor technology, they know the difference between a real fire and burnt toast. Weather is our area is predictably unpredictable. Often, especially during the summer months, we fall into a severe drought. But then we might have one season that brings extreme amounts of rain, like we did this past spring. A smart sprinkler controller likeRachio Irocan not only help save you lots of money on your water bill but also help protect our precious resources. 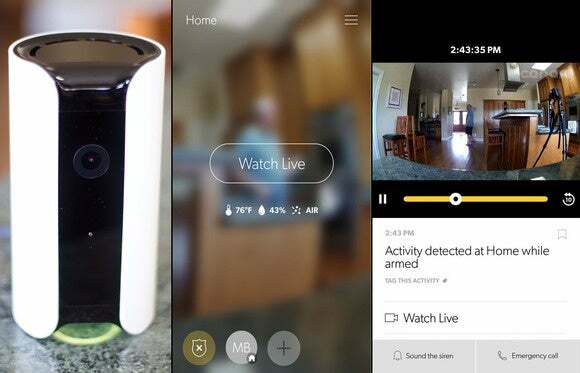 H ome monitoring has become much more sophisticated in recent years. With the old-style security systems, you had to call in contractors to wire your home with monitoring sensors. Canaryis one popular all-in-one audio-video security system, complete with sirens and night vision. Some systems, like theKwikset Kevo, include encrypted virtual keys that you can program for access for a limited amount of time—for example, allowing guests over for a weekend, or cleaning service in during a specific window of time. Other door locking systems include biometric technology. TheOla smart lockallows you to program your lock to recognize your family member’s fingerprints. Other systems use facial recognition to greet you and unlock your door. The newAugust smart lockintegrates with Apple’s technology so you can ask Siri to open your door for you. 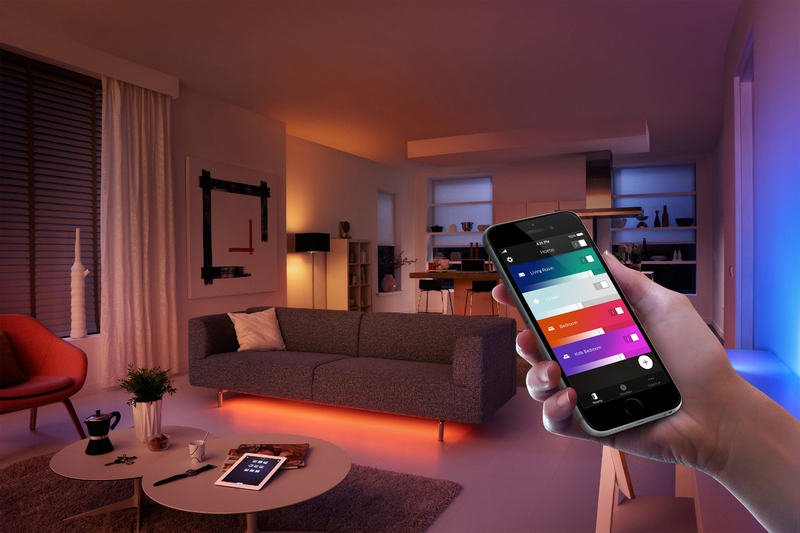 ThePhilips Hue wifi-enabled lights make it easy to add to your home without installing specialized equipment. Smart lighting dimmers and sensors can give you more control over how much energy you use and allow you to turn them on and off through your smart phone. New smart light bulbs can give you control over the warmth or coolness levels of your lighting. With theLifx LED light bulbs, for example, you can program your light bulbs to turn on or off when you want, to slowly wake you up with increasing illumination, or to change from daytime work lighting to entertainment-friendly shades for parties. Newer coffee makers, like theSmarter coffee machine, let you ‘order’ your coffee exactly to your liking, adjusting everything from bean grind to temperature to strength to time that it’s ready to drink. Smart refrigeration technology can help you store your food at just the right temperature, adjusting the thermostat during peak usage times. For example, theLG THINQ fridgecan alert you via smart phone app if a door is accidentally left open. Smart ovens can ensure that your food is cooked to the right level of done-ness, and alert you when your meal is ready to eat.June, a new counter oven invented by former Google, Apple, Go-Pro and Path employees will give you even more control—it will contain cameras, thermometers, and other technology to ‘learn’ what you like to eat and make menu suggestions.